On November 4th, 2012 The Center for Eating Disorders at Sheppard Pratt will welcome Carrie Arnold to Baltimore for a special community event entitled, Hope Through Science: Decoding Eating Disorders. Carrie Arnold is a trained scientist, science writer and also the creator of the popular eating disorder recovery blog, EdBites. After her own decade-plus long battle with an eating disorder, Carrie recently released a new book designed to share the science of eating disorders in a user-friendly way that not only educates readers but empowers recovery. In the book, she discusses how delving into the biology behind anorexia helped her to overcome her own illness. In advance of her presentation, we asked Carrie to share a little bit about the new book, the recovery journey, and why science is for everyone. Read on to see Carrie’s responses, and don’t forget to click on the image at the bottom of the post for details on how to RSVP for her upcoming presentation. Q: As a scientist, science writer and someone who has dealt with an eating disorder yourself, you have a unique perspective about some of the most critical aspects of the disorders and the science behind them. What would you say is the one piece of scientific knowledge about eating disorders that everyone should know? CA: I think the most important thing for someone to know about eating disorder science is that EDs are real, treatable illnesses. They are not choices–sufferers aren’t choosing to starve, binge eat, purge, and over-exercise. Rather, they are symptoms of a potentially deadly illness that requires rapid, intensive, and evidence-based treatment to bring about full recovery. 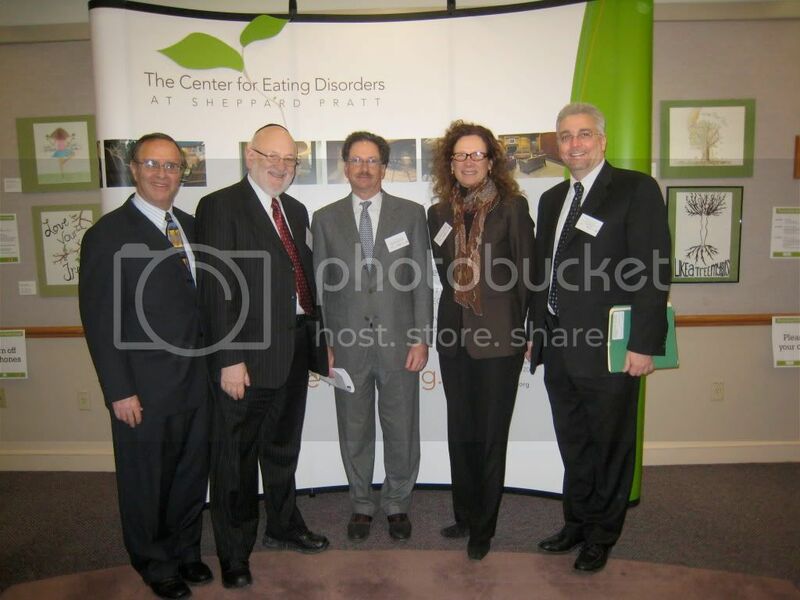 Q: Can you list some of the potential benefits to learning about and understanding the biology of eating disorders? CA: For me, learning about science was a way to start moving forward rather than continually looking at my past to try and figure out what might have caused my disorder. Insight didn’t bring recovery. Learning my triggers was important, but trying to get to the “root cause” of my eating disorder wasn’t helpful because there really wasn’t a root cause. Rather, it was a perfect storm of events that tripped my predisposition to anorexia. Malnutrition and ED behaviors were perpetuating the disorder, and the first step in recovery was weight and nutritional rehabilitation. Q: What role did this knowledge play in your recovery process? CA: Focusing on nutritional restoration as the first step of recovery was probably the most important. As much as I hated it (and believe me, I hated having to gain weight and stop ED behaviors! ), I could think much clearer when I was at a healthy weight for me, and eating regularly. Studies have shown that reaching and maintaining a biologically appropriate weight is one of the best predictors of recovery, and having a treatment team and family that insisted upon this was probably the most important thing in my recovery. Q: Your new book focuses primarily on the science of anorexia but research gains have been made for all eating disorders in recent years. Can individuals with bulimia, binge eating disorder and eating disorder NOS also benefit from uncovering the science behind their eating disorders? CA: Absolutely. I primarily discussed anorexia in my book because that was the disorder with which I had the most personal experience, and because the amount of research out there is so massive that I couldn’t tackle everything in just one book. Understanding what eating disorders are and what causes them (often, individuals have a biologically-based predisposition to EDs that are frequently triggered by an energy imbalance in the form of dieting, an attempt to “eat healthy,” growth spurts during puberty, increased training for sport, etc) can free the sufferer from blaming themselves and their families for past events and instead focus on moving forward. Q: Will your talk be applicable to individuals struggling with all types of eating disorders or just those with anorexia? CA: This talk is definitely for people with any type of eating disorder. Even much of what we know about anorexia can be applied to other disorders–the importance of regular eating, addressing co-occurring conditions, understanding triggers, and relapse prevention. These things are universal. Q: While the focus of your book is on the biology and genetics of eating disorders, you make it a point to communicate that environment is still important and does influence behavior. Why is this an critical reminder for readers? CA: Many people hear the word “biology” or “genetics” and believe that if an eating disorder is related to either of those two things, then recovery is impossible. Their eating disorder was fate and there is nothing they can do. Which is the furthest thing from the truth! We can’t change our genes, but we can change our environment. Genes don’t act in a vacuum; environment is also important. Psychotherapy, for example, can physically change the brain and help you learn better coping strategies. I have to make sure to eat 3 meals and 2-3 snacks each day to maintain my recovery, as well as taking steps to prevent undue stress and sleep deprivation, all of which can trigger ED thoughts. Q: It can be helpful for individuals who are struggling with eating disorders to hear from other people in recovery, to know that it is possible, and that it’s worth it to keep moving forward. What advice would you give to others who may still be struggling or are trying to find the motivation to pursue recovery? CA: It was really hard for me to believe in recovery after years of illness, ineffective treatment, and failed attempts at recovery. Ultimately, I couldn’t sustain motivation on my own, especially in the face of overwhelming anxiety and depression. I needed other people in my life to believe in my own recovery until I was strong enough and well enough to believe it myself. It’s one of the most ironic features of my recovery- I didn’t have motivation to get better and sustain recovery behaviors until I was well on my way to wellness. It’s why support from friends, family, and treatment providers is so important. Q: What would you say has been the most meaningful or most worthwhile part of your own recovery? CA: Not being so scared of everything. I can relax at times. I can laugh. I can be myself. Q: Who could benefit from coming to your talk, “Hope Through Science” in Baltimore on November 4th? What would you say to people who might initially be turned off or intimidated by the word “science”? CA: Eating disorders are so misunderstood that I think anyone touched by an eating disorder (sufferers, friends, family, and clinicians) could benefit from learning more about the subject. Our culture likes to portray science as something that’s just for geeks and eggheads. In reality, lots of people are interested in science, even if they don’t always know it. This won’t be like high school science class – I promise! Q: As someone who understands the suffering of an eating disorder and the hard work of recovery, what do you hope attendees will take away with them on November 4th after hearing your presentation? CA: That recovery is hard work, takes a long time, and requires lots of support, but it’s possible with the right treatment. Many thanks to Carrie Arnold for taking the time to share her insight and knowledge for this blog. Click on the image below for details about her upcoming presentation in Baltimore. The event is FREE to attend but space is limited so be sure to RSVP. If you have questions, please don’t hesitate to call us at (410) 938-5252.